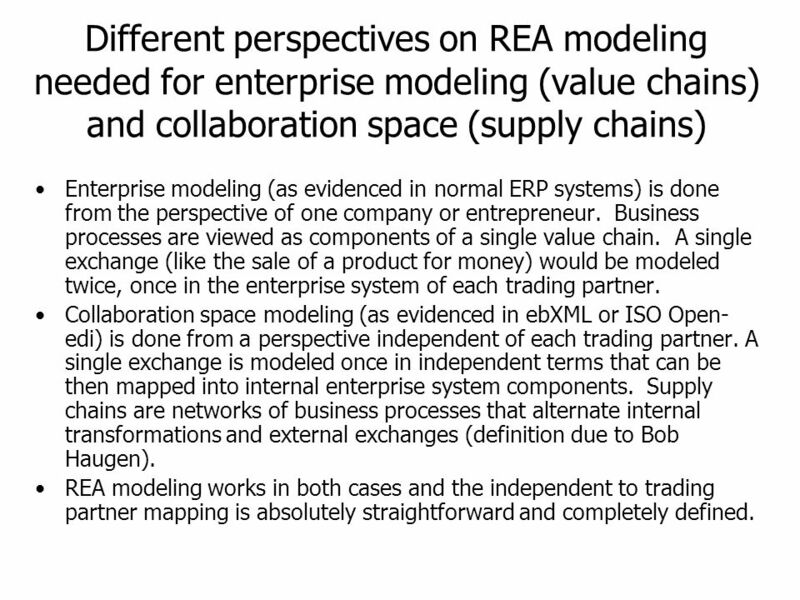 11 Different perspectives on REA modeling needed for enterprise modeling (value chains) and collaboration space (supply chains) Enterprise modeling (as evidenced in normal ERP systems) is done from the perspective of one company or entrepreneur. 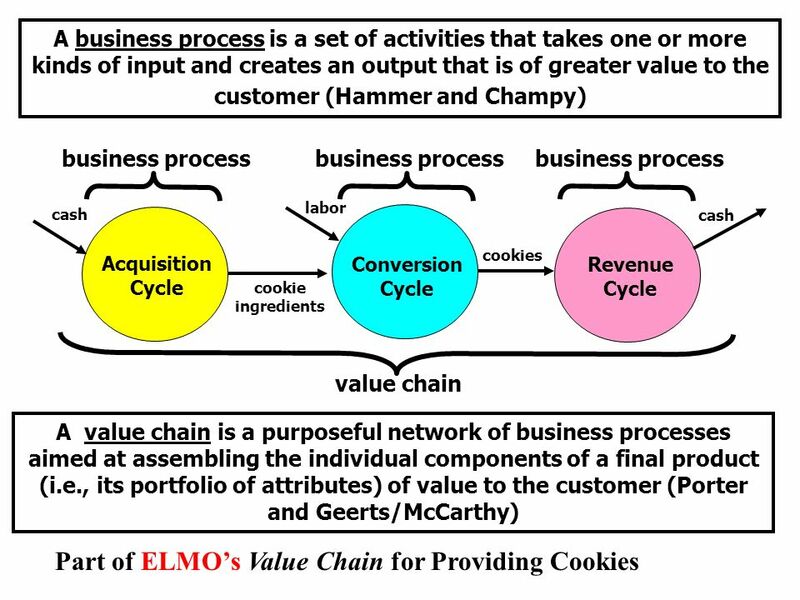 Business processes are viewed as components of a single value chain. 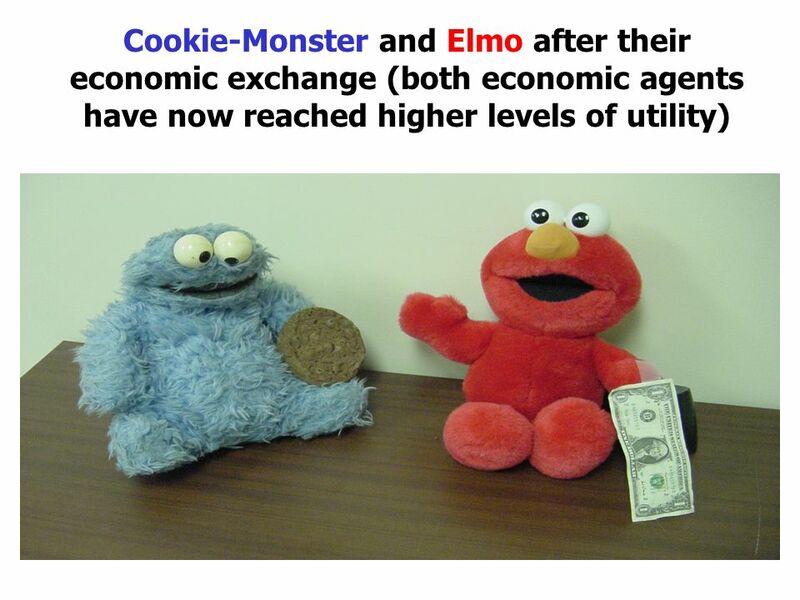 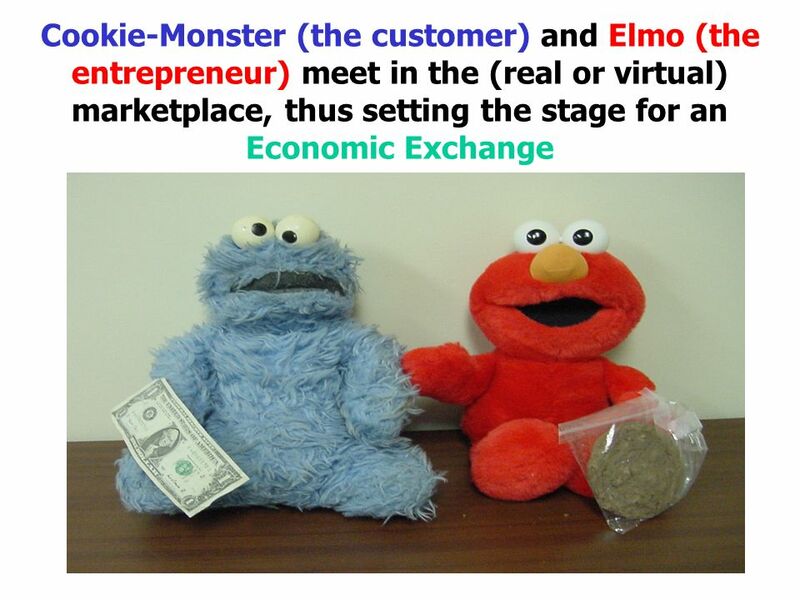 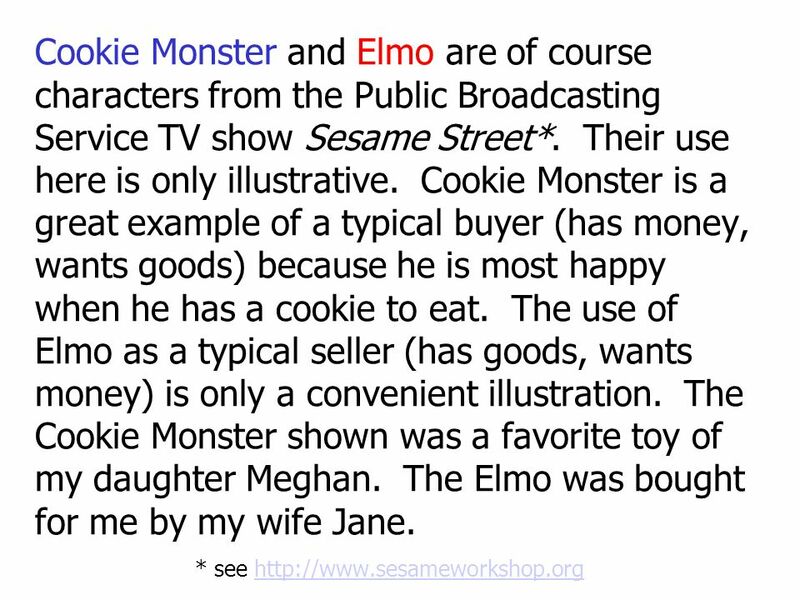 A single exchange (like the sale of a product for money) would be modeled twice, once in the enterprise system of each trading partner. 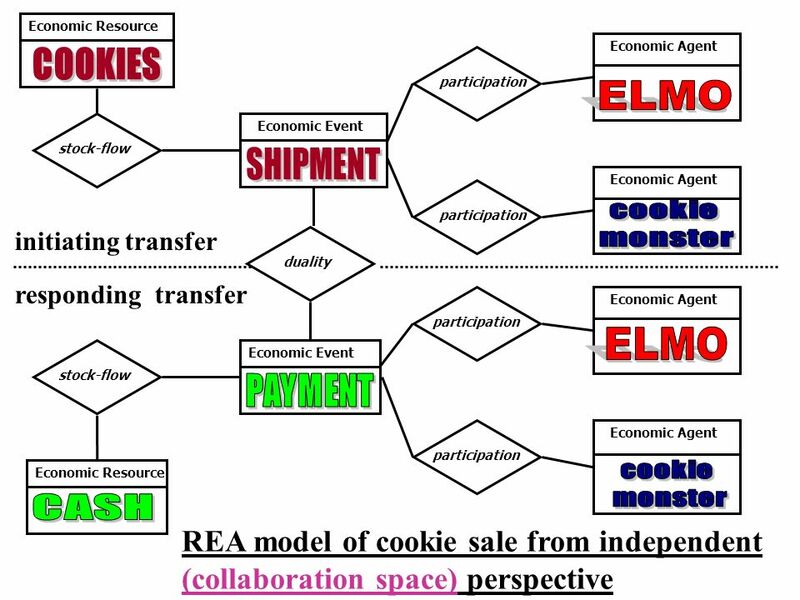 Collaboration space modeling (as evidenced in ebXML or ISO Open-edi) is done from a perspective independent of each trading partner. 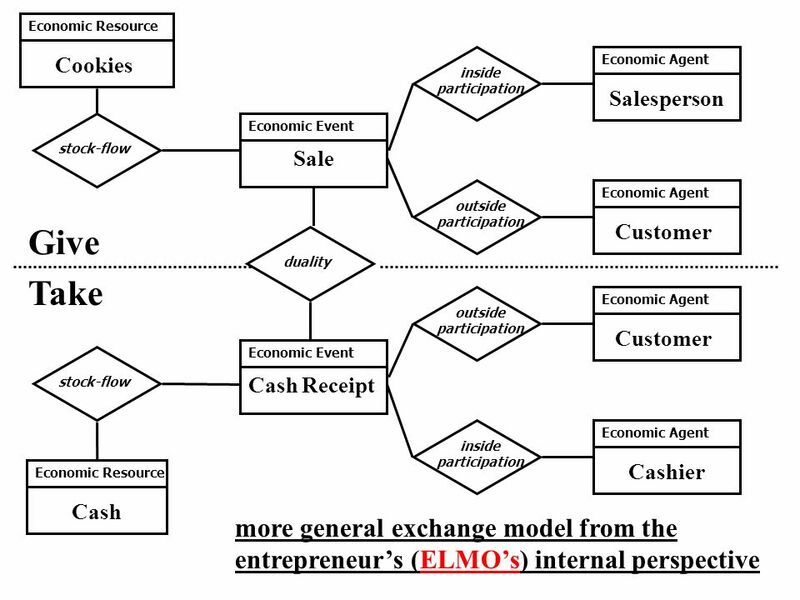 A single exchange is modeled once in independent terms that can be then mapped into internal enterprise system components. 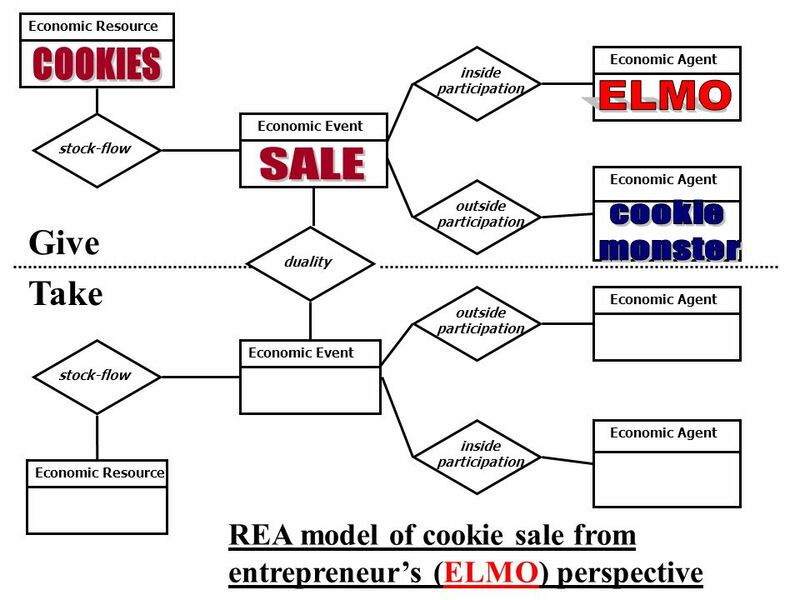 Supply chains are networks of business processes that alternate internal transformations and external exchanges (definition due to Bob Haugen). 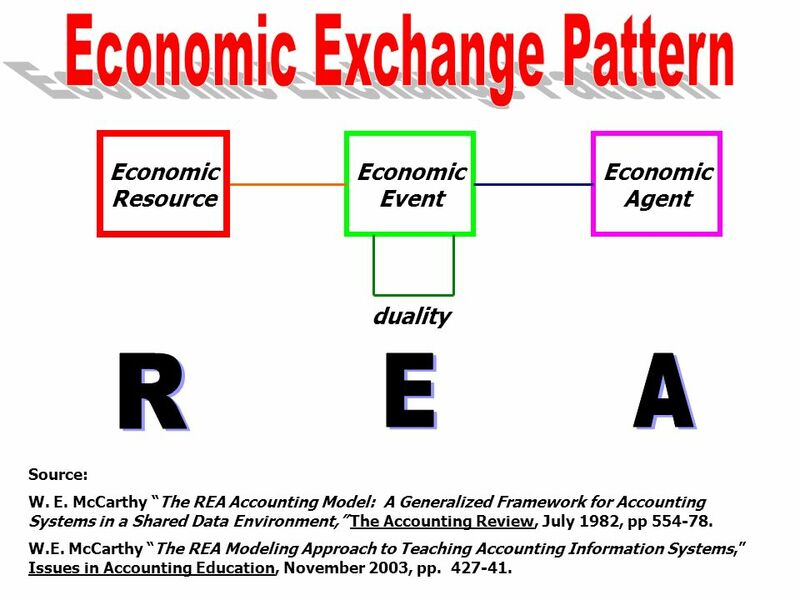 REA modeling works in both cases and the independent to trading partner mapping is absolutely straightforward and completely defined. 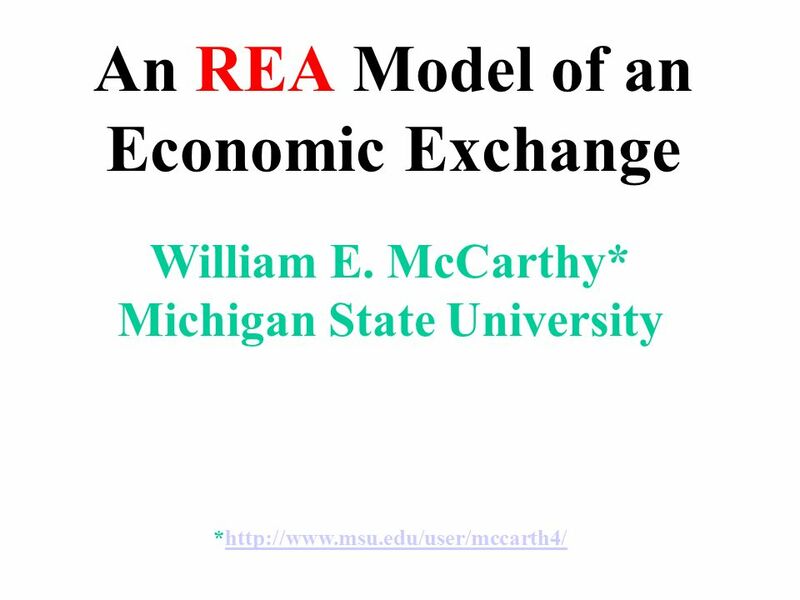 Download ppt "An REA Model of an Economic Exchange"
1 Approaches to Teaching AIS Gregory J. Gerard Florida State University January 5, 2006. 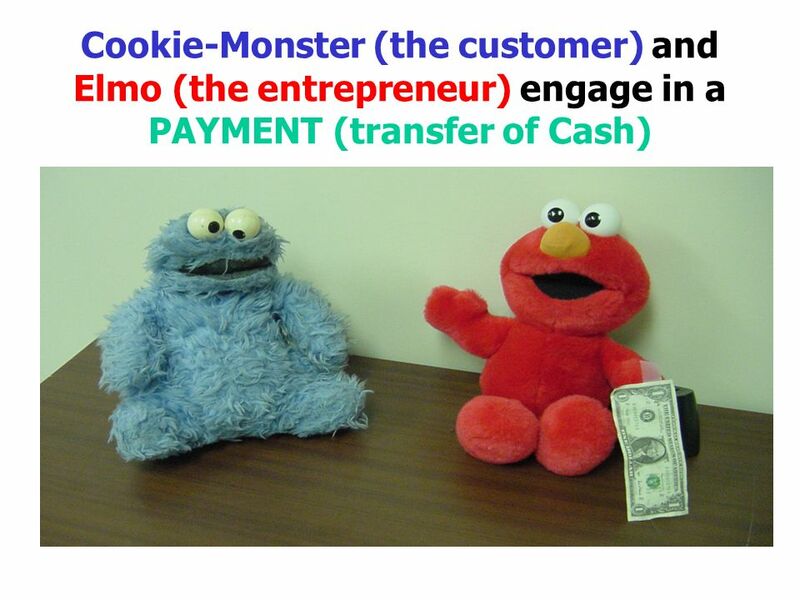 Services Need Marketing Chapter 11. 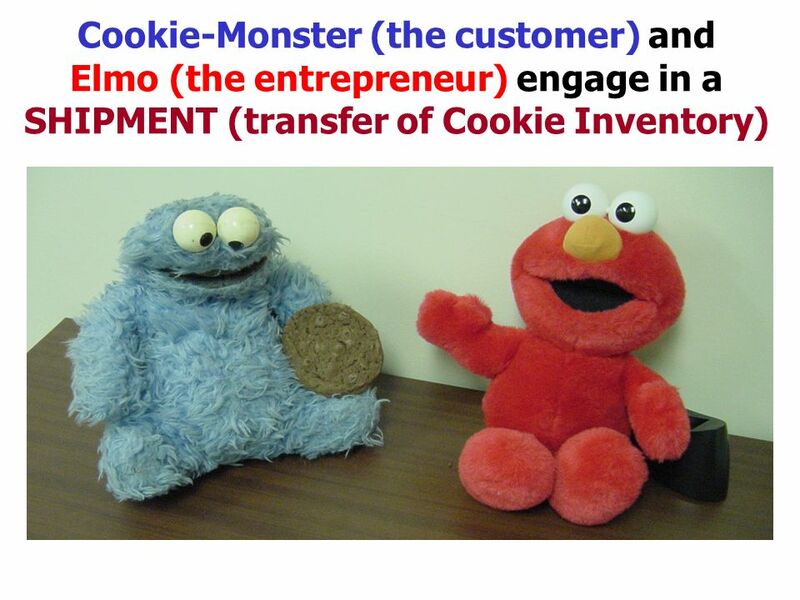 A service is an activity that is intangible, exchanged directly from producer to consumer, and consumed at the time. 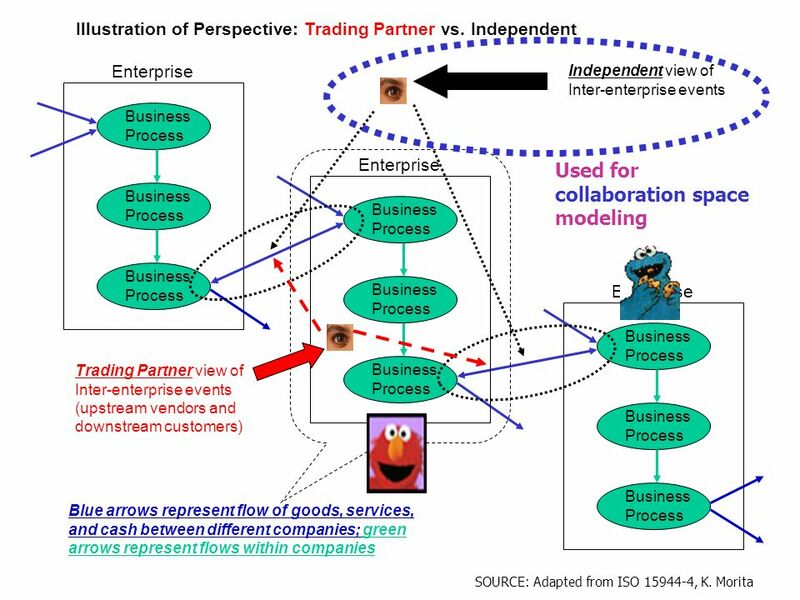 Bob Travica MIS 2000 Information Systems for Management Instructor: Bob Travica Class 18 Supply Chain Processes and Systems Updated 2013. 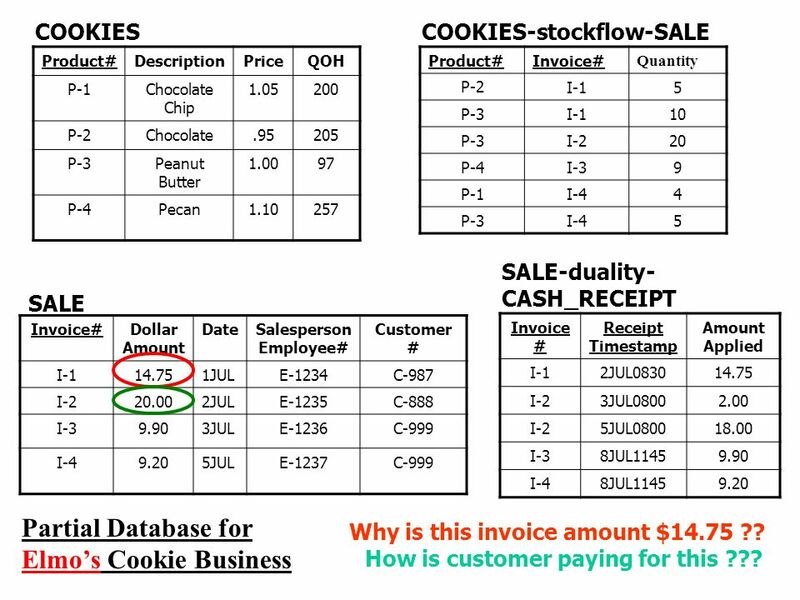 INLS Electronic Business for Information Professionals Business-to-Business June 5, 2000.